Intel has developed a way to stack its computing circuits on top of one another in a bid to regain the lead in chip manufacturing technology that it has lost to rivals like Taiwan Semiconductor in recent years. Intel, the world's biggest maker of computing chips for personal computers and data centres, for decades followed Moore's law, named for Intel co-founder Gordon Moore, by doubling the number of transistors on a chip every two years, thus roughly doubling their performance. But as those transistors have shrunk to just a few nanometers apart, Intel has fallen years behind schedule on its own plans. The company said in July that chips featuring its newest 10-nanonmetre manufacturing technology will not arrive until the holiday shopping season of 2019. In the meantime, most of Intel's biggest rivals such as Nvidia and Qualcomm long ago quit manufacturing chips and outsourced the work to firms like TSMC. The Taiwanese firm rolled out its newest generation of chipmaking technology this year and snatched away Intel's title of making the tiniest chips. But Intel said it now has technology to stack computing circuits on top of each other and wire them together with speedy connections, enabling it to pack more onto a single chip. Stacking has been used in memory chips before, but Intel would be the first company to successfully stack the so-called "logic" chips that handle computing tasks, Raja Koduri, Intel's chief of chip architecture, told Reuters in an interview. "We've been working on this packaging technology for nearly 20 years," Koduri said. "There's some real physics problems to solve in stacking logic on logic." The stacking technology will be available in the second half of next year, Intel said. It will also Intel break up its chip designs into smaller units called "chiplets" so that, for example, memory and computing chips can be stacked in different combinations. Koduri said that will let Intel meet changing customer needs instead of selling "monolithic" chips. 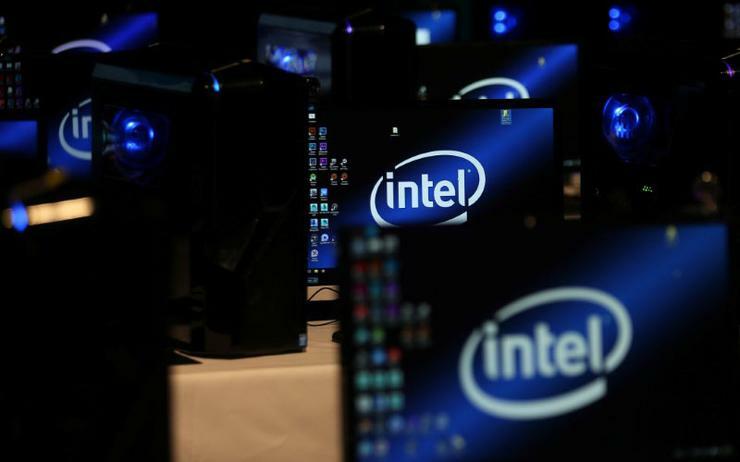 But Jack Gold, an analyst with J.Gold Associates, said the technology will also help Intel move faster against rivals like Advanced Micro Devices which are using TSMC's technology. While computing chips get a speed boost after being shrunk, many other kinds of chips do not and can work well when made with older technology. Intel will be able to use those old elements with its newest computing circuits without having to redesign them, Gold said. "They're going to be able to stack new chips and old chips together to get to market faster," he said.